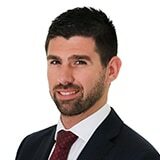 Dr Mark Caruana Scicluna is an Associate within GANADO Advocates’ Investment Services and Funds Team. He focuses on the structuring, licensing and ongoing servicing of collective investment schemes (including AIFs, NAIFs, UCITS Funds and PIFs), asset management firms and other investment service providers. Mark also regularly assists in Fintech and Blockchain projects and general corporate and commercial matters. Mark previously worked in the Corporate and Insurance Teams at GANADO Advocates. He has also delivered lectures at the University of Malta, the Malta Financial Services Authority, the Institute of Legal Studies, the Institute of Financial Services and other institutions. Dr. Mark Caruana Scicluna is an Associate within GANADO Advocates’ Investment Services & Funds team.